The case before the Supreme Court was that the petitioners in the various writ petitions represent an entire people – the tribal and non-tribal population of the State of Assam. In their petition, they have raised a plea that the sovereignty and integrity of India is itself at stake as a massive influx of illegal migrants from a neighboring country has affected this core Constitutional value. They have also raised a fervent plea that Article 14 also continues to be violated as Section 6A (3) to (5) Citizenship act are not time bound but are ongoing. Hence reverting to a preliminary submission of delay, the Supreme Court held we do not feel that petitions of this kind can be dismissed at the threshold on the ground of delay/laches.Indeed, if we were to do so, we would be guilty of shirking our Constitutional duty to protect the lives of our own citizens and their culture. In fact, the time has come to have a relook at the doctrine of laches altogether when it comes to violations of Articles 21 and 29. …. the time has come for this Court to say that at least when it comes to violations of the fundamental right to life and personal liberty, delay or laches by itself without more would not be sufficient to shut the doors of the court on any petitioner. (i) Whether Articles 10 and 11 of the Constitution of India permit the enactment of Section 6A of the Citizenship Act in as much as Section 6A, inprescribing a cut-off date different from the cut-off date prescribed in Article 6, can do so without a “variation” of Article 6 itself; regard, in particular, being had to the phraseology of Article 4 (2) read with Article 368 (1)? (iii) What is the scope of the fundamental right contained in Article 29(1)? Is the fundamental right absolute in its terms? In particular, what is the meaning of the expression “culture” and the expression “conserve”? Whether Section 6A violates Article 29(1)? (iv) Whether Section 6A violates Article 355? What is the true interpretation of Article 355 of the Constitution? Would an influx of illegal migrants into a State of India constitute “external aggression” and/or “internal disturbance”? Does the expression “State” occurring in this Article refer only to a territorial region or does it also include the people living in the State, which would include their culture and identity? (vii) Whether delay is a factor that can be taken into account in mouldingrelief under a petition filed under Article 32 of the Constitution? (viii) Whether, after a large number of migrants from East Pakistan have enjoyed rights as Citizens of India for over 40 years, any relief can be givenin the petitions filed in the present cases? In the meanwhile, till the above questions are decided, the Bench passed further directions on the assumption that Section 6A of the Citizenship Act is valid, after taking into account the affidavits filed by the Union of India and state of Assam. The court will monitor the progress with regard to these after 3 months and thereafter pass further directions as necessary, including a definite time schedule for completion of the works relating to border fencing, border roads and flood lights may be made by this Court. The court requested the Gauhati High Court to expedite and to finalise the process of selection of the Chairperson and Members of the Foreigners Tribunals, if required in phases, depending on the availability of officers opting to serve in the Tribunals. Within 60(sixty) days of the selection being finalized by the Gauhati High Court, the State of Assam will ensure that the concerned Foreigners Tribunal become operational. The Chief Justice of the Gauhati High Court is requested to monitor the functioning of the Tribunals by constituting a Special Bench which will sit at least once every month to oversee the functioning of the Tribunals. 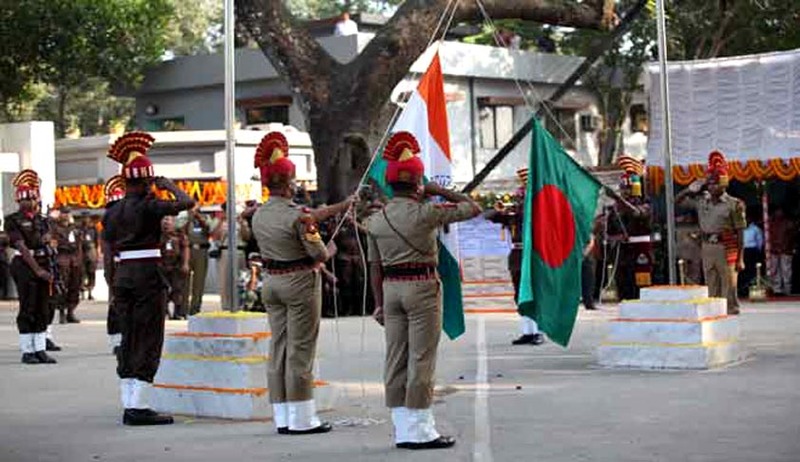 The court directed direct the Union of India to enter into necessary discussions with the Government of Bangladesh to streamline the procedure of deportation. The result of the said exercise be laid before the Court on the next date fixed. The implementation of the aforesaid directions will be monitored by this Court on the expiry of three months from today. In the event it becomes so necessary, the Court will entrust such monitoring to be undertaken by an empowered committee which will be constituted by this Court, if and when required. The Supreme Court has also given orders that national registration of citizenship must be completed in border areas by January 1, 2016. A specific timeline for completion of works has been fixed. All the cases were directed to be listed in the last week of March, 2015 to take note of the progress of implementation of the above directions.